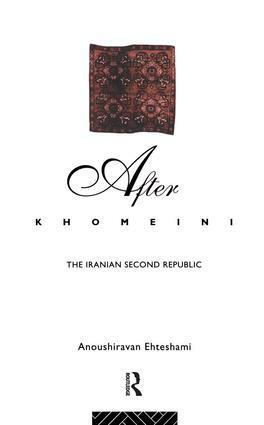 For Iran the years since Ayatollah Khomeini's death have been dominated by the need for political consolidation and economic reconstruction.The book assesses the critical dilemmas of the regime both previous to and since the demise of its first spiritual leader. The vital issues of political succession and constitutional reform are addressed, contributing to an analysis of the structures and politics of power. How these have reflected upon economic policy is considered with close atttention being given to the reform policies of Rafsanjani. Foreign policy and security issues are discussed in both regional and global terms and include a study of Iranian defence strategy and its controversial re-armament drive.The final chapter examines the direction and context of all of these major policy areas, providing an analysis of whether the Islamic Republic truly represents a revolutionary alternative for the Third World or whether in fact it has developed in time to fall within a similar mould to other notable revolutions, casting by the wayside any uniquely Islamic agenda and alternatives.At the heart of this study is the belief that the Islamic regime has, since the cease-fire with Iraq, but more specifically since Ayatollah Khomeini's death passed into a new stage of development, referred to in the book as the `Second Republic'.